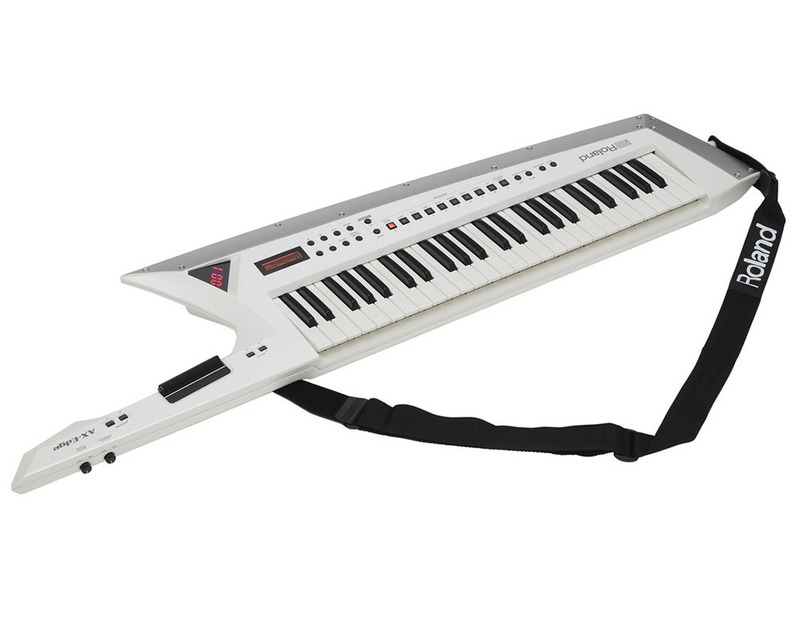 The Roland Ax-Edge White is a 49-note Keytar, a mobile keyboard instrument that rose to prominence during the 1980s. The Keytar aids performance by freeing the keyboard musician from their place behind the stand and allowing them to move around the stage. The Ax-Edge contains 256x voices which can be played across 4x parts plus an on-board vocoder, over 1000x sounds and numerous effects. In addition, there are playing aids such as an arpeggiator, ribbon controller, modulation bar and a sequencer. Operate the instrument comfortably with the free AX-Edge-Editor from iOS, Android Smartphone or Tablet.